"On 07/09/2018 at 1111 CDT, Browns Ferry Unit 1 Operators identified U1 High Pressure Cooling Injection system steam supply valves were isolated. After reviewing ICS [Integrated Computer System], Operations determined isolation occurred at 0958 CDT during performance of surveillance testing. 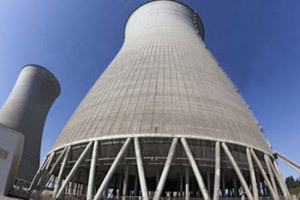 The Browns Ferry Nuclear Plant Unit 1 High Pressure Coolant Injection (HPCI) system was declared inoperable at 0958 CDT due to an inadvertent isolation that occurred during testing. During performance of surveillance procedure 1-SR-3.3.6.1.2(3B) HPCI System Steam Supply Low Pressure Functional test, an erroneous signal was induced causing actuation of primary containment isolation system group IV (i.e., HPCI Isolation). Technical Specification 3.5.1, ECCS-Operating, Condition C was entered as a result of the inoperable HPCI system. This constitutes an unplanned HPCI system inoperability and requires an 8-hour NRC notification in accordance with 10 CFR 50.72(b)(3)(v)(D). The erroneous signal was cleared and the HPCI isolation was reset. Upon reset of the isolation signal, the HPCI system was returned to available status. The HPCI system was unavailable for 2 hours and 55 minutes, however the HPCI system remains inoperable. "There was no impact to the health and safety of the public or plant personnel as a result of this condition. "A condition report has been entered into the Licensee’s Corrective Action Program to capture this event."